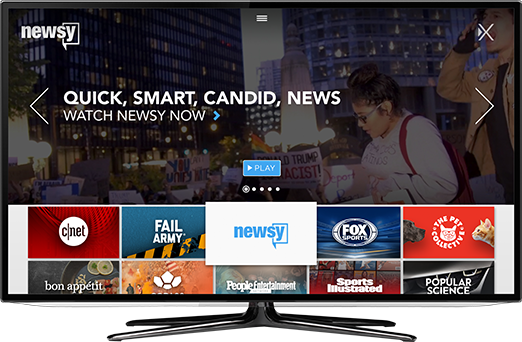 You can watch Newsy, channel 126, on LG Channel Plus, Hisense, Sharp, Magnavox, Panasonic, Philips, Sanyo and VIZIO smart TVs because of our partnership with XUMO. Just load the XUMO app and start streaming Newsy. Don't have a smart TV? Watch XUMO on the web or simply download XUMO for Roku or your Android or iOS device.